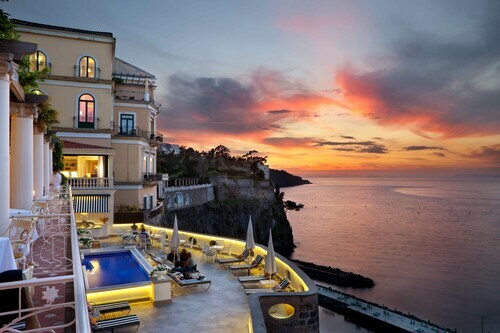 The gateway to the impressively beautiful Amalfi Coast, Sorrento is a clifftop highlight on this stretch of coast. 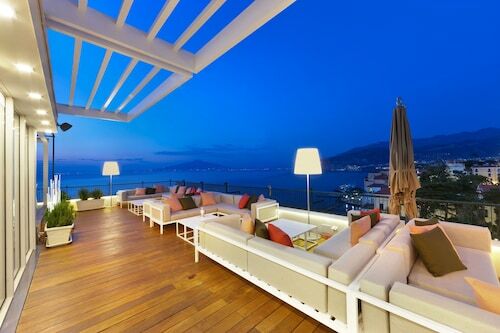 Expect delicious food, inspiring views and warm hospitality in this delightful corner of Italy. The busy road from Naples to Sorrento leads you from the city, through several tunnels until you emerge onto the winding coastal road. 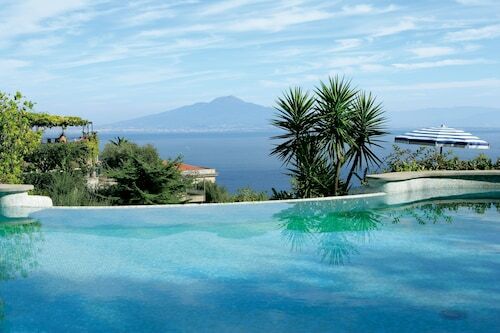 Far beneath that cliff face is the Bay of Naples, twinkling away in the sunlight and a view that gives you that holiday feeling. Sorrento is one of the first towns you will happen upon after the chain of tunnels from Naples and is an ideal base to get a flavour of everything this region has to offer. Famous for its lemons and, of course, limoncello, Sorrento is larger than its Amalfi Coast town counterparts, but, for all its popularity with tourists, you’ll get the sense that it hasn’t lost its genuine local heart. The elegant town of Positano and boat trips to Capri are enviable possibly day trip options out of Sorrento. If you've come to Sorrento in search of tasty seafood, the town happily obliges. You'll find seafood restaurants aplenty, particularly around the marina area. 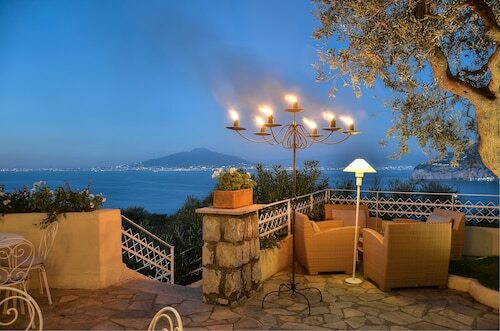 Pass a long, leisurely evening there dining on fresh fish over the water with the majestic cliffs of Sorrento as your backdrop and the imposing sight of Mount Vesuvius as your view over the Bay of Naples. Fine foods are not the only thing to spend your money on, however, since Sorrento sells excellent lace and ceramics in the shops that dot the lovely streets. 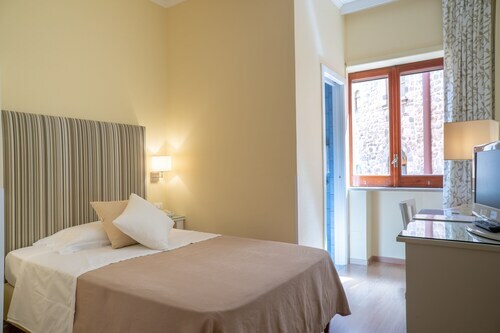 The town's proximity to the enchanting, mysterious Pompeii is an opportunity that you cannot let pass you by on your trip to Sorrento, especially as Pompeii is just an hour away in the car. Frozen in time, this UNESCO World Heritage site is a genuine archaeological wonder, having survived the eruption of Mount Vesuvius, and allows you to wander round streets, houses, shops, temples and amphitheatres that have been around for centuries. Once you’ve experienced Sorrento and the surrounding Amalfi Coast area, you’ll understand why this region is on the bucket list of so many. Admire the stunning outdoor frescoes of this 14th-century building that used to be a place for noblemen to discuss politics. This main square in Sorrento is a great place for people-watching, admiring Baroque architecture and learning about the local history. This charming port has served as Sorrento’s connection to the sea for almost 2,000 years and is still in use by local fishermen. In the heart of Sorrento, behind central Tasso Square, lies an almost hidden treasure: an ancient and overgrown ruin in a lush ravine. 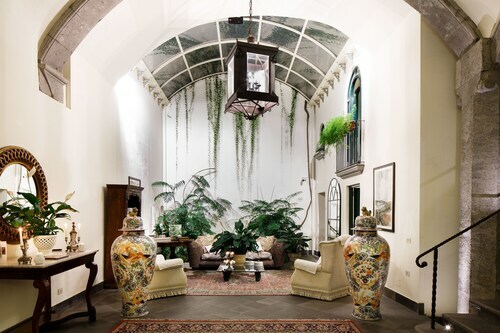 Visit an ancient church full of artistic treasures and the adjacent cloister with its mix of architectural styles. Swim or snorkel in this legendary natural pool or watch the sunset from a picturesque Roman ruin on the rocks of Punta del Capo. Decorative chapels and a dazzling collection of frescoes by notable Italian artists beautify the interior of this 15th-century religious monument. Start your exploration of Sorrento, or end your day of adventures, in this leafy square near the train station. Built into the cliffs of Sorrento, this elevator provides quick access from the city’s beaches and marina to the Old Town.